Debonairs Pizza is a take away restaurant that provides a wide selection of delicious pizzas in a variety of sizes to suite anyones needs. For those that have a larger appetitie the 'Stacked' options provide for a very filling meal and for those that aren't as hungry can go for the Real Deal options. If a pizza is not what you want, Debonairs provides a variety of subs that are topped with a variety of flavours. Debonairs provides meal options ranging from Real Deal Meals to Family Meals which come with their Pop-Itz or Cheesy Grillers and a choice of drink to wash it all down. 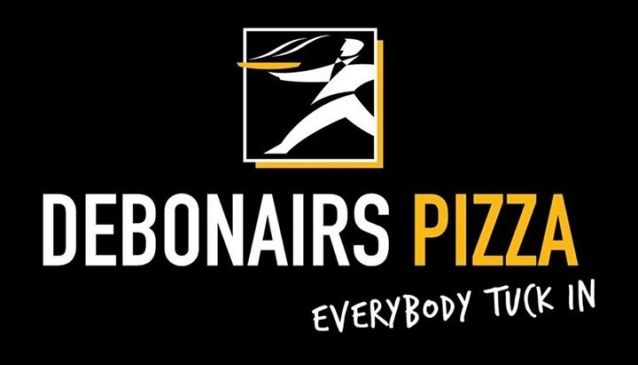 Debonairs provides free delivery within a certain radius of the location of the specific branch. Contact the branch to enquire if delivery is possible. For those that prefer burgers see Steers which is affiliated with Debonairs.